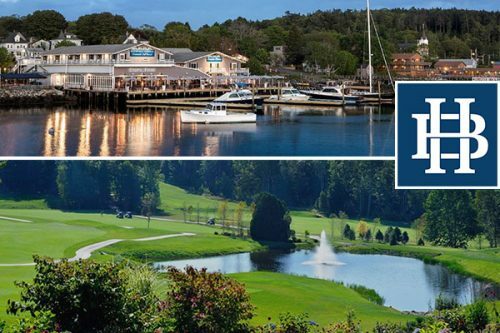 Join us for BDA’s benefit auction! 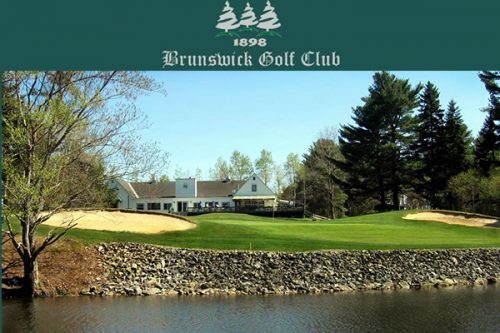 You are invited to Brunswick Downtown Association’s Magic on Maine, a Live & Silent Auction, taking place on Thursday, October 17th from 5 to 7:30 pm at The Daniel. Silent Auction: 5:00 to 6:30. 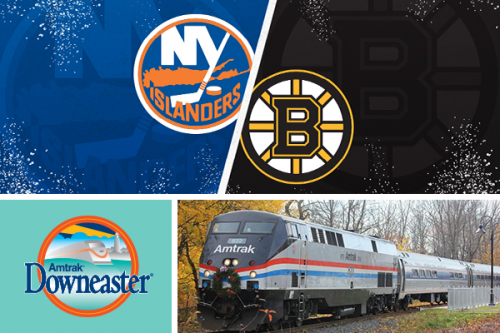 Live Auction: 6:45 to 7:30. 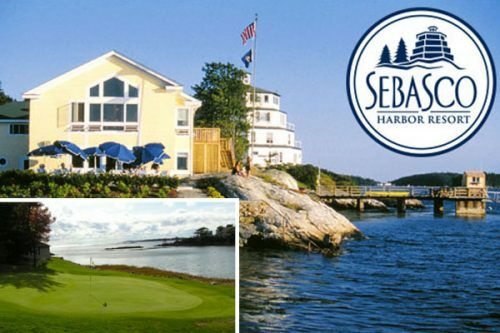 Appetizers, Silent Auction, Live Auction, Desserts. Cash Bar. 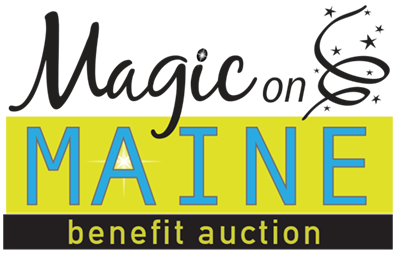 Magic on Maine will offer a wide variety of enticing items and exciting experiences or bid at a Silent and Live Auction. 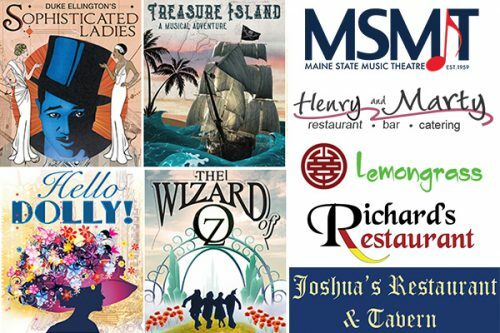 Auction proceeds support BDA programs and community events: Music on the Mall, the Community BBQ, the Brunswick Outdoor Arts Festival, Tree Lighting Ceremony with Santa, The Rolling Slumber Bed Races and the Holiday Lighting fund to light up the trees on the Town Mall and Maine Street! The BDA is a 501(c)(3) nonprofit organization. 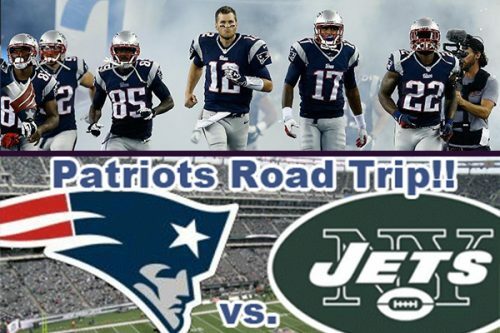 2 tickets to Patriots VS Jets with transportation + tailgate party. 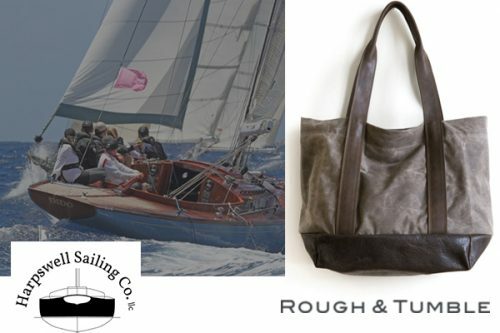 Rough & Tumble Tote + 1/2 Day Sail with Harpswell Sailing Co.
1 night stay at Bailey Island Motel. 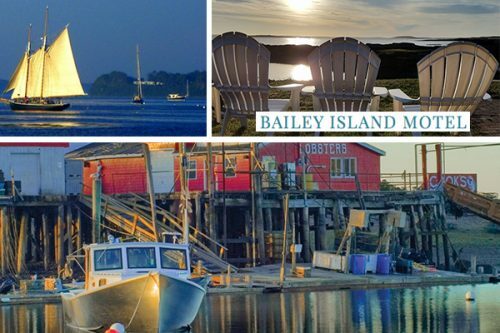 GC to Cook’s Lobster & Ale, 2 hour sail on Schooner ALERT. 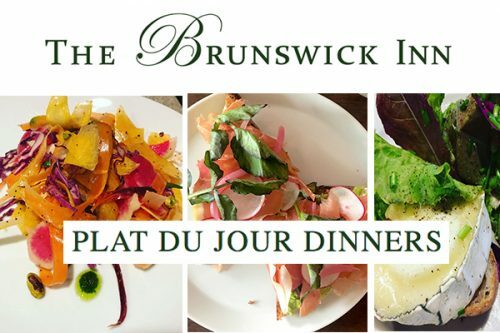 Dinner for 2 at The Brunswick Inn Tuesday Plat Du Jour Dinners. 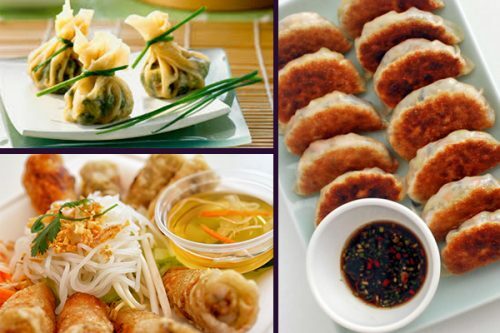 Authentic Chinese Appetizers for 8, delivered to your home. Prepared by Mike Feldman.